Train to Busan is a South Korean zombie apocalypse thriller that come out in summer, typical time for summer blockbusters, and what a blockbuster it is. Directed and written by seasoned director Sang-ho Yeon, mostly know for his short films and animated features. 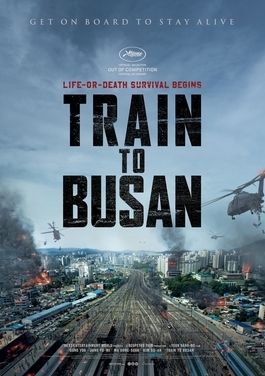 The movie took box office like the storm, as the viewers stormed theaters, reching more than 10 million viewers, which is a fifth of entire population of South Korea. Plot follows always-busy divorced fund manager Seok Woo (Yoo Gong) and his young daughter Soo-an. As a birthday gift to Soo-an, after realizing last second, how little time he spends with her, Seok Woo leaves his busy work behind and decides to make a trip to visit her mother in Busan. As the train they are taking is about to leave the station, a bloodied girl steps on board. And as the train slowly departs from the station, chaos starts to happen around, leaving unsuspecting passengers, Seok-Woo, his daughter, a bloodied girl and bunch of other interested characters on train, onward to it's destination. It's well shot, well acted, a bit silly at a times, but nonetheless a fun and entertaining summer blockbuster about zombies. Zombies that are realized and portrayed on screen in a quite interesting, energetic, way. It contains a lot of cliches and sometimes silly plot devices, but it doesn't make it less entertaining, but you shouldn't watch it expecting deep cinematic experience. Rarely summer blockbusters have them. It's energetic movie, with some underlying political and social commentaries, fun characters, great cast with little time spent idle. Well worth a watch if you like survival movies about zombies. 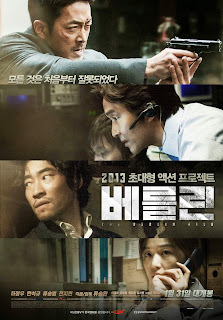 The Berlin File is a South Korean spy thriller, directed and written by Seung-wan Ryoo, established director in Korean industry, know for many movies, and particularly for Crying Fist and City of Violence, both found on this site. This movie is most successful project of Seung-wan Ryoo so far, and box office record holder for the genre in South Korea. The plot is quite complex and hard to summarize, but that wouldn't be international espionage thriller if it would be that simple. Berlin, Germany. All starts with black market weapon deal staked out by old timer South Korean intelligence agent Jung Jin So (Suk-kyu Han) and his team but before they can make their move, things go wrong. After his escape from this mess North Korean operative Pyo Jong Sung (Jung-woo Ha) who back home is considered a national hero, understands that he's been set up and betrayed, he and his wife (Gianna Jun) who works in North's embassy as translator are in center of internal power struggle in Pyongyang. CIA, Russian arms dealers, North and South's spy's, Mossad, Arab terrorist organizations, all make their own plays and appearances in this entangled spider web. The movie is almost entirely filmed in Europe, in many locations to provide authenticity for what's happening on the screen. The film is quite long, around two hours, but it balances it's pace very well. Slow dialogues and scenes that set up mood of seriousness and importance of character actions, followed by hard hitting, high octane stylish action scenes, be it hand to hand, or heavy weaponry. 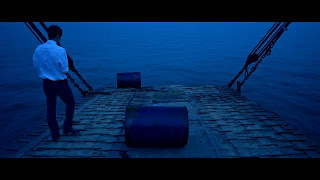 Director himself has stated that he wanted it to resemble popular western spy thriller Borne Identity. It's notable that this is another collaboration of director Seung-wan Ryoo and his younger brother Seung-beom Ryu who plays ruthless "problem solver", hopeful more will follow. Brilliant cast of some of the best Korean actors, beautiful action scenes, solid cinematography, full of intrigue. A great entry for spy genre. Oldboy is probably THE most popular Korean movie in the world, and has proved itself as a great starting point for many movie fans who are discovering Korean cinema for the first time. And it's a starting point for this blog as well, being first post made here. While browsing I accidentally stumbled upon this amazing video that was included with collectors edition of Oldboy and which some good soul uploaded has Youtube. A behind the scenes / Making Of documentary. Cinematography, acting, story. Everything in this movie is on the highest level. And now we have chance, for more than three hours to be a part of it. To see genius personality of director Chan-wook Park in person. To see famous actors like Byung-hun Lee and Kang-ho Song paying casual visits to set just to have a few laughs with friends. Interaction of crew and actors. Technical difficulties and filming techniques. And to see how many octopus were eaten during famous scene? Priceless. It's amazing insight into Korean working culture and brilliant personalities who are behind this movie. A treat to any movie fan. 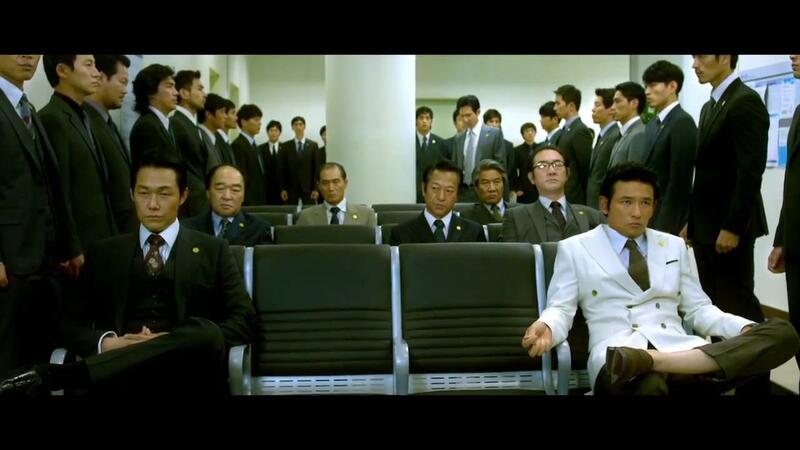 And with american remake of Oldboy soon hitting cinemas, it's about time to remember what made the original so great. Howling, a film from already established Korean director and a poet Ha Yoo best known to us for his films Once Upon a Time In High School and A Dirty Carnival.This time he takes a leap from his favorite drama genre to a thriller mystery. A seasoned detective Sang-Kill (Kang-ho Song) eager for a big case to hasten his promotion, gets assigned to investigate what appears to be a suicide by self-immolation. Unwillingly he is partnered with rookie female detective Eun-Young (Na-yeong Lee) who is disdained in this male dominant police unit. It is later found out that that the victim of fire had huge bite marks on his body, that resemble dog or a wolf, and when further investigation reveals more murders done in similar manner it becomes unclear who and how is committing these murders. Both cops are determined to solve this mystery. Seasoned cop and a rookie, quite cliche in detective movies, don't you think? But as it happens with cliches, director made it work just fine, and the pair working together, enhanced by excellent acting of both lead actors, to solve this mystery is a pleasure to watch. This movie also touches on women rights in South Korea, and point's out that there are still problems in this area even today, where man often based on prejudice refuse to accept women into their profession. There are parts in this movie that I think are totally useless, serve no purpose and are just silly in their appearance (a hint for those who will watch it - motorcycle). But they are very few and not import to overall movie. By no means it's a perfect movie, but it's fairly entertaining, has a solid plot, quality production and offers delight to see more Kang-ho Song amazing acting on your screens. Overall a fine flick for weary evening. New World is a second movie from new face in South Korean cinema Hoon-jung Park, who started his career as scriptwriter, better known to us for his work at brilliant movie I Saw the Devil. Now he's stepped up a notch and this is his second movie that he not just directs, but writes a script for. Someone to keep an eye on in future. 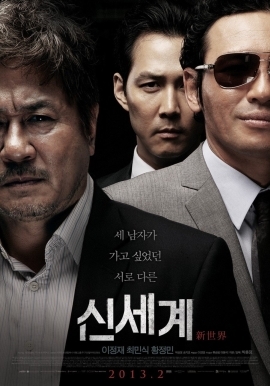 It all starts when a chairman of major Korean crime syndicate dies in a traffic accident. Power struggle begins to name his successor. Two rival groups within are committed to take the chair, one is led by jest Jeong Cheong (Jeong-min Hwang) and his right hand Ja-seong (Lee Jeong-jae), other by sinister Lee Joong-gu (Seong-Woong Park). But there is third player involved in the game, police who have planted mole in the organization and now are trying to influence movements within to their own interests. Who will come out as a victor in this game? While the premise must sound familiar or even cliche to any crime genre fans, events that unfold during the film and in the end are not so typical, and will leave these viewers most definitely satisfied. Film is about big fish of crime world, and everything is clean and expensive there. Good looking people, expensive cars, beautiful apartments and exquisite office buildings. It's just a good looking movie itself to support the events it's showing. Even when the hands get really dirty, which they do, it keeps it's good looks. Some really solid cinematography and good actor casting for lead roles, it's always a pleasure to look at Min-sik Choi's acting. 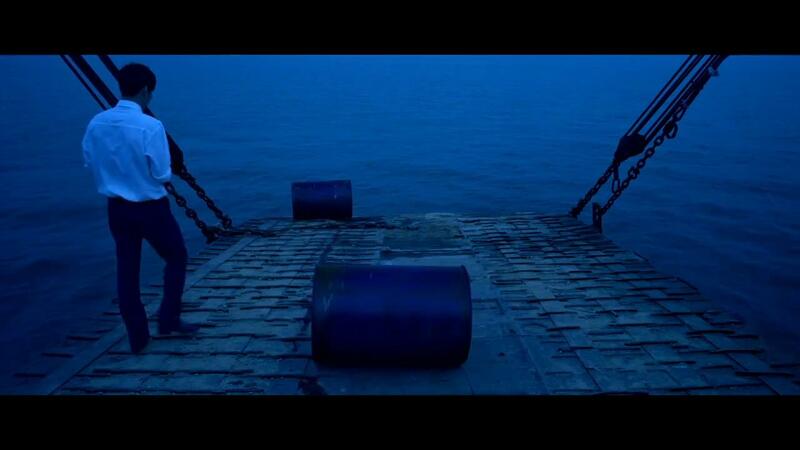 Supplemented with quiet, almost classical, ambient music so fit to the theme of the movie. As I wrote above, it's a good looking film, a film about top brass of organized crime in best traditions of the genre, and more. Well worth a watch. 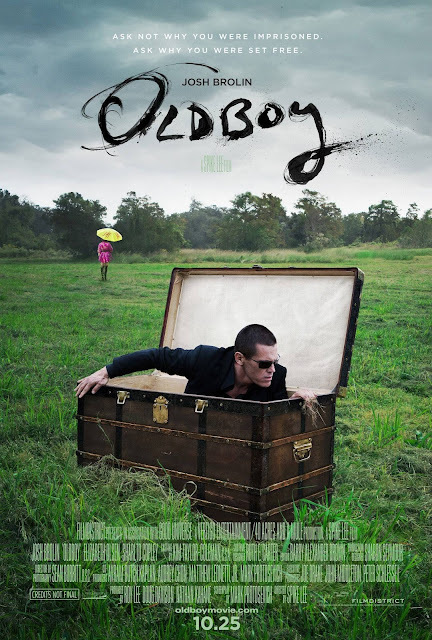 10 years have passed since release of the original and now it's time to have a look at first official poster for Hollywood's remake of Korean classic Oldboy. You can see the actor Josh Brolin who will portray Min-sik Choi's charming character whom we all come to love so much from the original. I don't have high hopes for this, but Spike Lee can sometimes surprise with his moviemaking skills and it will definitely be interesting to see western take on such unusual and cruel story. To be released in October, 2013. By clicking Read more button below you can see some unused posters that had been leaked before.